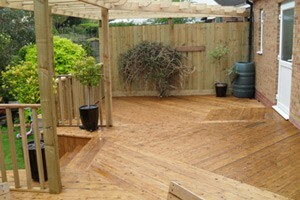 As a first class timber merchant, Sunningdale can not only provide high quality timber supplies but are also equipped to design and manufacture high quality garden decking to suit any sized project. 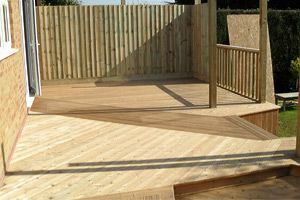 Whether you are looking for a supplier of raw decking materials, or a complete decking installation service in Leicestershire - look no further than Sunningdale Timber to cater for all of your needs. 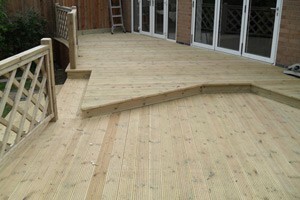 Our decking design team will offer you free impartial advice to help you make the most of any outdoor space. We can supply a wide range of hardwood & softwood in different styles, so it won't be long before you can start to enjoy the decks you always dreamed of! 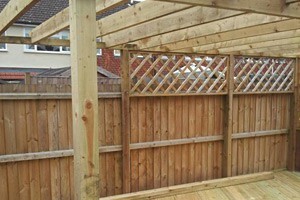 "...Built our second deck and used Sunningdale Timber both times, quality of timber second to none, delivery bang on time and lots of helpful advice from the driver - really good experience. 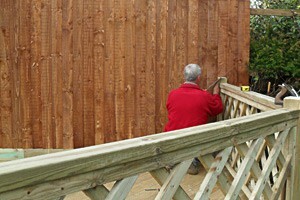 Rebuilding our fence this year and I couldn't imagine going anywhere else. Thanks Boys!" Whether you have limited space to work with or require a highly bespoke design feature, our professional team are here ready to help you. 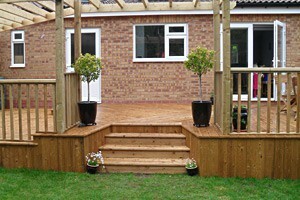 Why not browse through our images to view just some of the work that we have completed. Remember, we can tailor any order to meet with your budget, size and specifications. We cater for all of your needs! 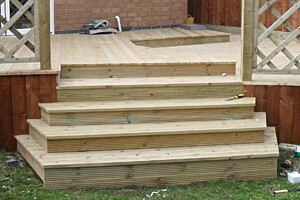 For more information about our decking services, simply enquire online or alternatively give us a call on 0116 2312876, where we will be happy to help you further.